Traditional ASP.NET/MVC/JSP/PHP page assembling systems require a drastic change in the architecture and object-oriented, component-based, event-driven programming paradigm that most enterprise line of business (LOB) developers are used to. However, in a typical LOB app it’s not enough to have cool widgets. You need to execute complex and secure business logic manipulating data from different sources, and to interact with databases and/or external devices. The UI, business logic, reports, visual logic, documents, and databases are all connected in complex applications, with hundreds of components, often requiring challenging modal workflows. 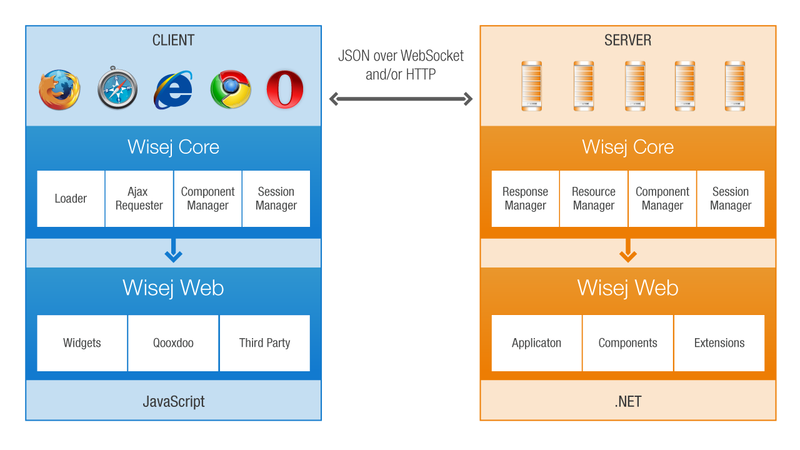 Wisej brings the integrated event-driven, component-based approach that we are used to for desktop/mobile native applications to the web. It provides a rich, virtually unlimited, library of browser/server real-time components designed to build web applications in a coherent environment. The learning curve is flat.